Hillsboro Beach is a town in Broward County, Florida, United States. It was given its name for Earl of Hillsborough, who received large grants of land from the King of England while Florida was in English possession. The 3.2 mile strip along State Road A1A is officially known as Hillsboro Mile in the town’s boundaries and is the only main road in town. Because it’s the only main road, it’s aligned with the residents’ mansions and given the name of “Millionaire Mile” by local residents. Boutique Building With Only 65 Total Units On The Hillsboro Mile. Nice Se Views Of The Ocean Off The Balcony And Both Bedrooms! Unit Comes With 2 Deeded Garage Parking Spot With Boat Dockage Possibilities. Pet Friendly And Low Hoa's! Don't Pass Up On This One! Rare Opportunity To Own Both Sides. On The Intracoastal Side Of Hillsboro Mile With One Full Acre On The Beach With Pool And Cabana Bath. Oversized Open Balcony That Acts Like An Outdoor Living Room. Time To Move Quickly On This Unique Opportunity. Beautiful 2/2 Unit With Recent Complete Remodel. Marble Floors, Stainless Steel Appliances, Full Impact Windows, Covered Garage Parking, Southern Exposure And Ocean Views From Balcony. Walk Out Of Your Building And Onto The Sand. Move-in Ready! Hillsboro Beach has a population of 1,960. Located just 20 minutes north of Fort Lauderdale, on a small peninsula, the town of Hillsboro Beach goes for about 3.2 miles from the Hillsborough Inlet and Pompano Beach on the south, to Deerfield Beach on the north—bordered by the Atlantic Ocean on the east, and Intracoastal Waterway on the west. Hillsboro Beach only has one road, State Highway A1A, also known as “Millionaire Mile.” Hillsboro Beach is one of the most magnificent communities in Florida. It’s a place of luxury, where upscale meets oceanfront. The stunning landscape and gorgeous local scenery make Hillsboro Beach a highly desirable place. It is also one of the safest communities in Florida and will truly take your breath away. For parents interested in the school system, children attend the Pompano Beach Elementary School and a nearby high school in Deerfield Beach. The safe neighborhoods in Hillsboro Beach offer residents upscale and pleasant living with a fresh and relaxing sea breeze. Hillsboro Beach is the perfect place to raise a family, retire, or enjoy the beach during vacations. There are many things to do, from fairs and festivals that are held in surrounding areas, which creates a lively atmosphere. The beaches in the area are clean, safe, and gorgeous. The beaches are perfect for swimming, snorkeling, and any other type of watersport you’re into. Nature is well-preserved here, along with the waters. And the parks are also very well-maintained. The beauty of the sparkling ocean water combined with luxurious properties will make you want to move here in a heartbeat. 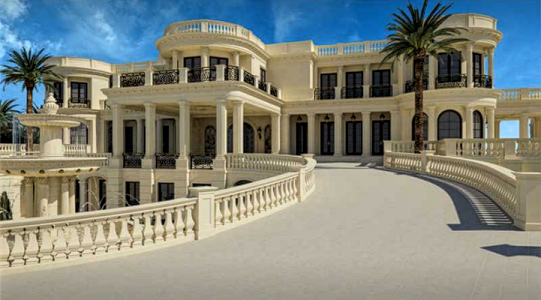 Some of the most magnificent houses are located in Hillsboro Beach, Florida. The average purchasing price begins at $5,000,000, but some properties go well over the $10,000,000 dollar mark, close to $20,000,000. Hillsboro Beach offers single-family oceanfront homes and waterfront condos that are both Intracoastal front and Oceanfront. Hillsboro Beach’s only single-family homes can be found on Hillsboro Mile, also known as Millionaire Mile. Homes for sale on the Hillsboro Mile are direct ocean view properties that sit on the white sand. Unlike typical oceanfront properties, where vessel dockage is not possible, homes on the Hillsboro Mile include and Intracoastal front lot across the street as part of the property, which provides the opportunity to vessel a dock. The average size Intracoastal front lot size is 100’ and perfect for docking a yacht or large vessel. This prestigious beach is home to some of the most luxurious properties around and has a view that will take anyone’s breath away. Living here is not only relaxing and luxurious, but it’s also recommended for the soul. Living in Hillsboro Beach provides true bliss that cannot be found anywhere. The peaceful serenity and stunning beauty will leave you speechless. Whatever your budget happens to be on your new home, you’re likely to find a very extravagant home in a pristine location in Hillsboro Beach. Moving to Hillsboro Beach, Florida? If you plan on moving to Hillsboro Beach, Florida in the near future, you’ll likely find yourself living in one of the luxury homes in this breathtaking location. When you’re ready to take the next step to finding the best home possible in Hillsboro Beach,consider Mizner Residential Realty to help you with the hunt. Contact us today at 561-495-1516.